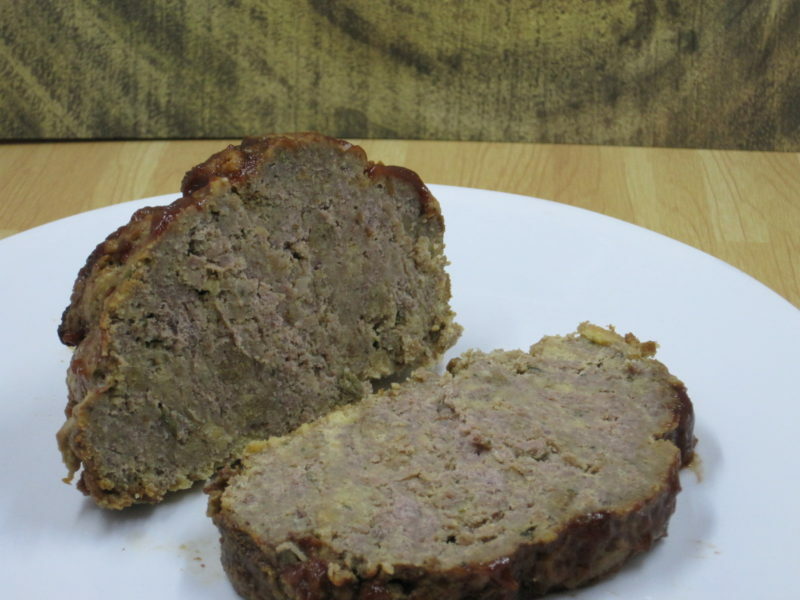 Meatloaf is an American classic, and is something that many people list as a comfort food. In our household, meatloaf is something that’s reserved for Fall and Winter meals when I don’t mind turning on the oven. 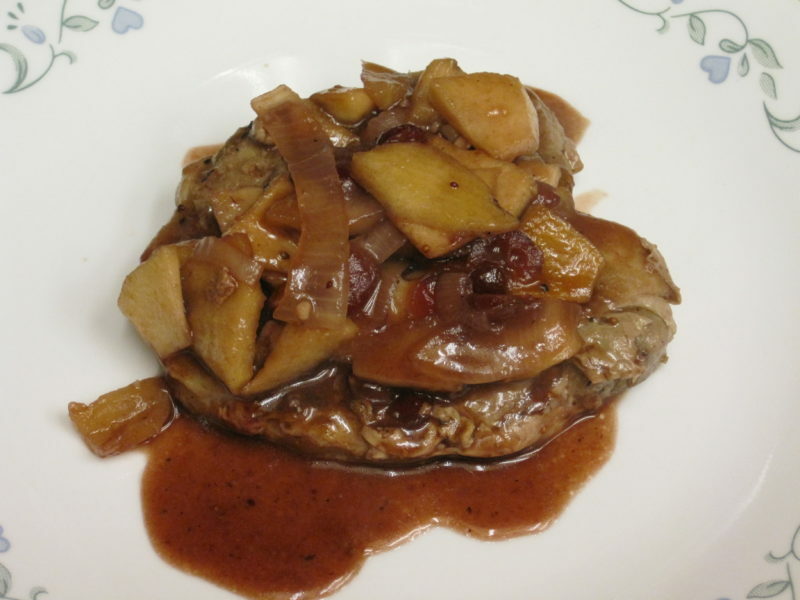 This recipe for stuffing meatloaf is different from our previous meatloaf recipe. This version gets the majority of the seasoning from a package of corn bread stuffing mix that’s used as the breading in the meatloaf. This recipe for stuffing meatloaf is easy to prepare, and goes great with cauliflower mashed potatoes and garlic green beans. 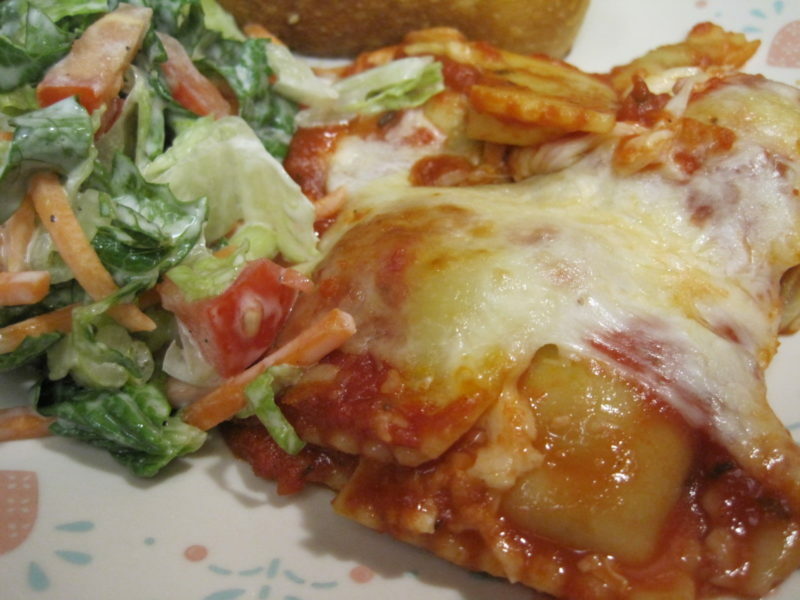 Baked Ravioli Casserole is simple to assemble and gets dinner into the oven, and onto the table, without much fuss. The dish contains only 3 ingredients, but tastes like you worked much harder at getting it onto the table. Like my sheet pan dinners, once this dish is assembled, it goes into the oven where it bakes for about 45 minutes. That allows you to help the kids with homework, or tend to whatever needs your attention, while dinner takes care of itself. 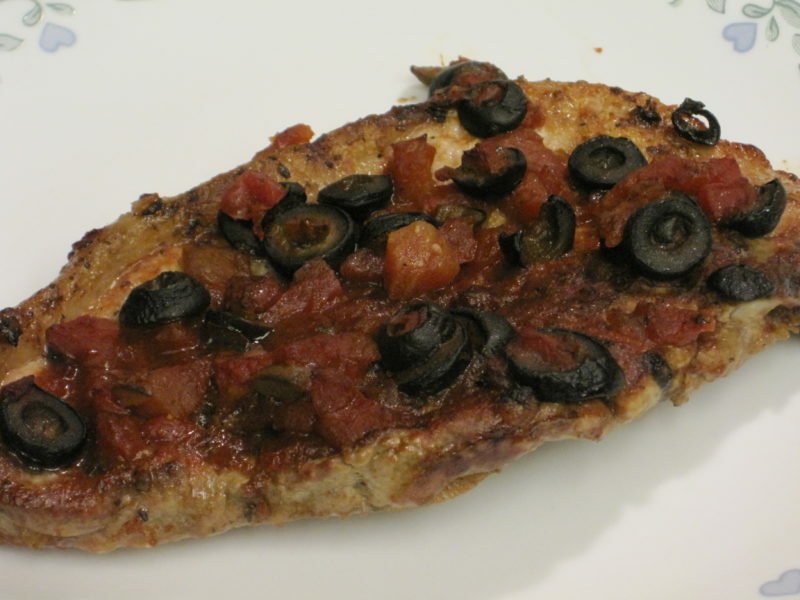 Italian Style Tilapia is another sheet pan dinner, but in my case, I prepare it in a 9X13 inch pan. This recipe is very simple. 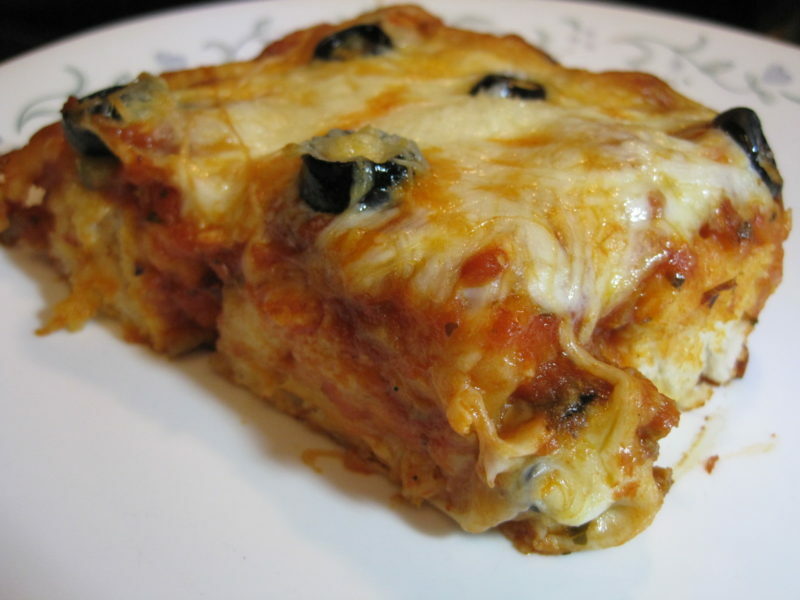 The ingredients are layered in a prepared baking pan before being placed in the oven and baked. The best part is that the Tilapia is baked from the frozen state, so it’s a great dish if you’ve forgotten to thaw the meat for dinner. 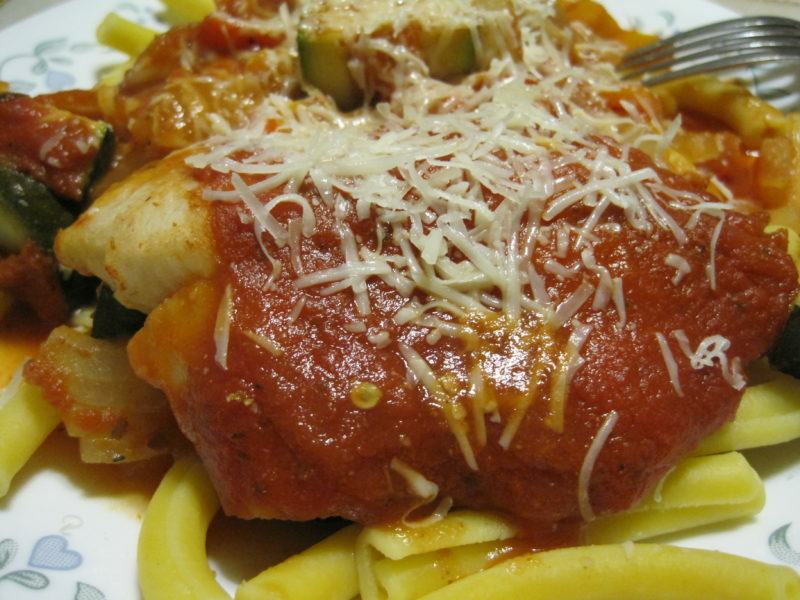 Italian style tilapia practically prepares itself. 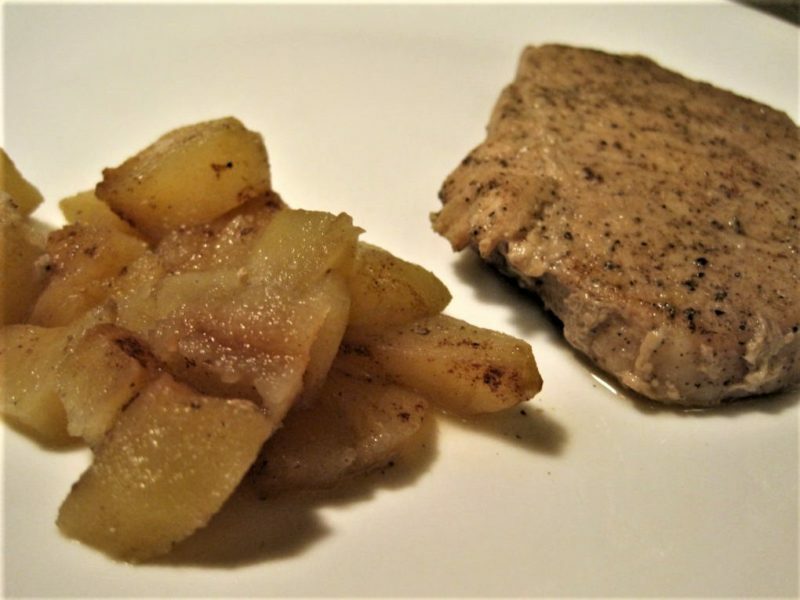 Pork Chops Puttanesca is another one of those simple meals that practically cook themselves in a large baking dish. The ingredients can be combined the night before and the pork chops allowed to marinate in the tomatoes, herbs, and spices. This helps your Pork Chops Puttanesca to be more tender. 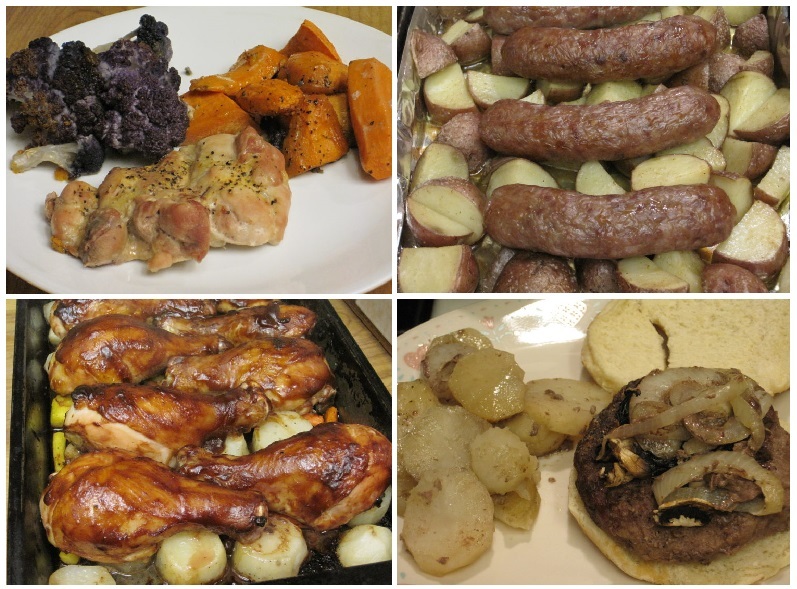 It’s a simple and delicious meal that’s perfect for a busy weeknight.